Audioholics wrote a preview on Paradigm's new and improved Cinema Speakers and their first impression is... "Pretty Cool"
"If you are looking for a first system for a smaller room, the Cinema CT 100 with five Cinema 100 speakers an a Cinema Sub will only set you back $1000." "If you went absolutely crazy, you could put together a 5.2 system with nothing but Cinema 400 speakers and two Cinema Subs for $2344. But even we think this would be overkill." "In a larger room with a trio of Cinema 400s, and two each of the Cinema 100s and 200s, plus a sub, you'd have a kicking 7.1 system for a dollar less." 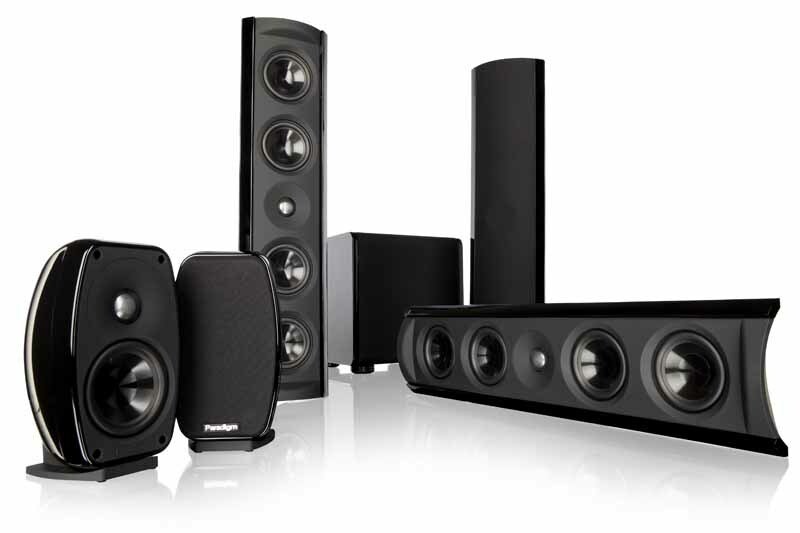 Final Words... "It is clear Paradigm is looking to give consumers on a budget a lot of options... the newly improved Cinema speakers are sure to be a hit." ...To that we say, thanks guys! Click here! for more information on the Paradigm Cinema line.